alaTest has collected and analyzed 1285 reviews of Huawei P smart / Enjoy 7S (2017). The average rating for this product is 4.5/5, compared to an average rating of 4.1/5 for other Cell phones for all reviews. People really like the camera and price. The performance and usability are also appreciated, but there are some mixed reviews about the connectivity. We analyzed user and expert ratings, product age and more factors. Compared to other Cell phones the Huawei P smart / Enjoy 7S (2017) is awarded an overall alaScore™ of 93/100 = Excellent quality. The Huawei P Smart 2019 is the latest in a growing line of capable, affordable handsets from the Chinese tech giant and it's another tempting offering. A great choice for anyone looking for a capable, low-cost smartphone in early 2019. Huawei P Smart Review: Huawei's edge-to-edge display toting phone offers some serious power and features for the minimal price-tag. A fantastic budget smartphone that’s bound to impress. Can a phone be too cheap for its own good? How exactly is the Huawei P Smart smart? Why did we not think of that? Choosing 'smart' as a name for a smartphone is just as in-your-face as naming a soccer team 'the team'. And it inadvertently raises the question: what exactly does 'smart' really mean? 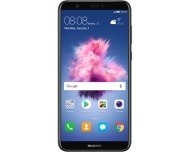 Tempted by Vodafone's great value deals on the Huawei P Smart? We've fully tested this affordable smartphone, which boasts premium features and design work, for this in-depth Huawei P Smart review. This budget Android phone has better specs than you might expect for the price. Here's our Huawei P Smart review.